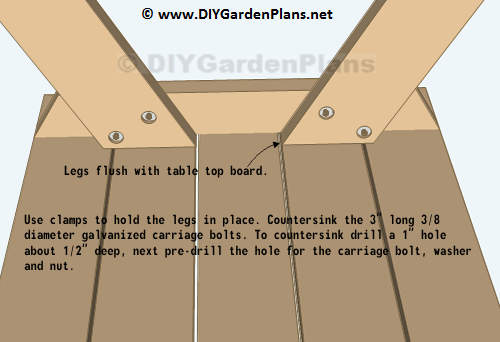 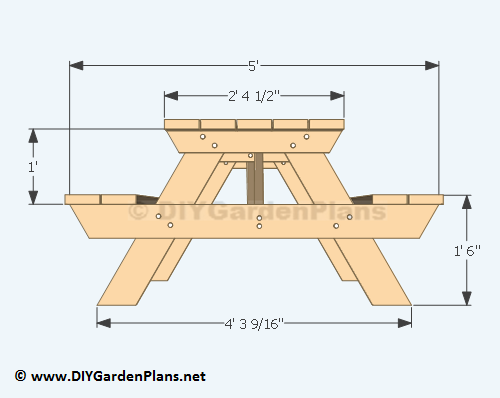 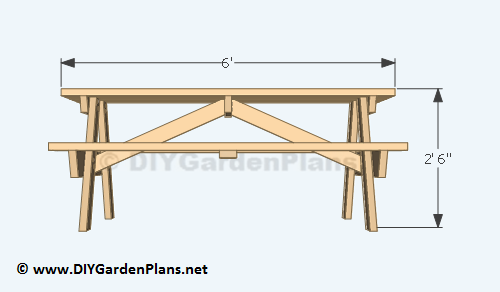 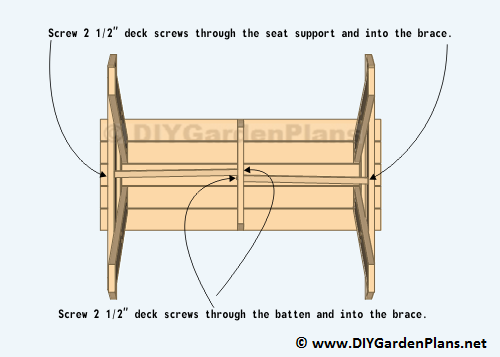 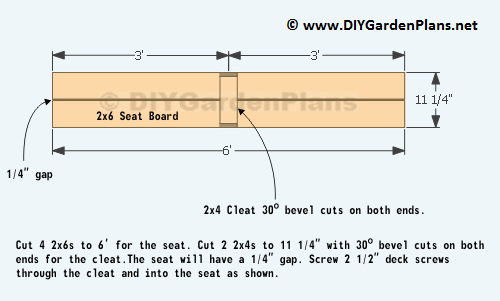 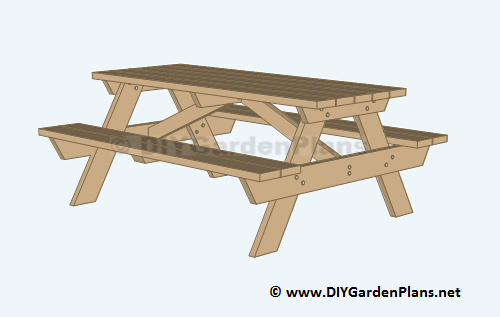 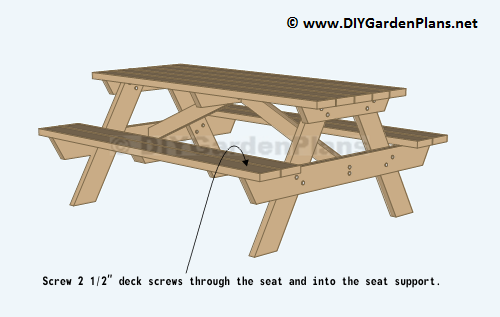 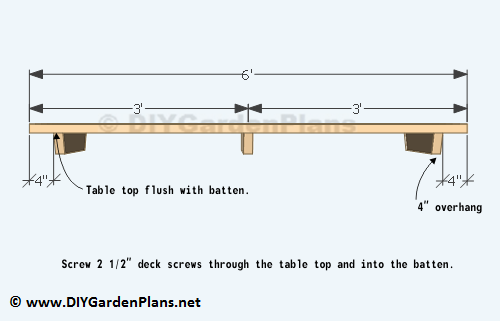 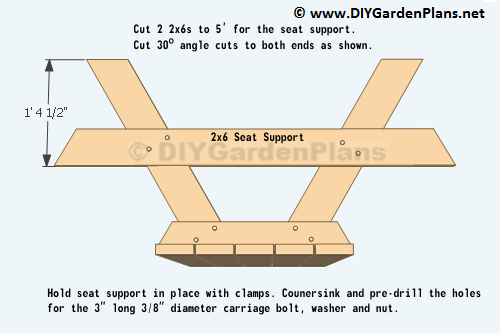 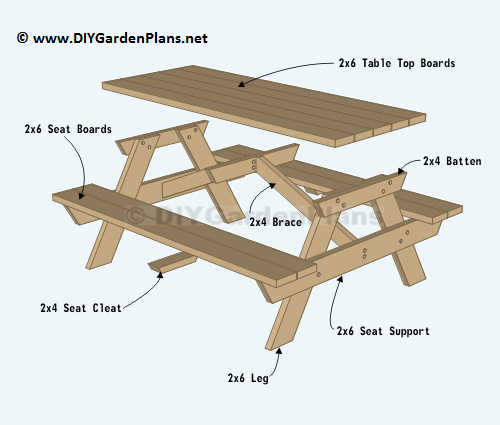 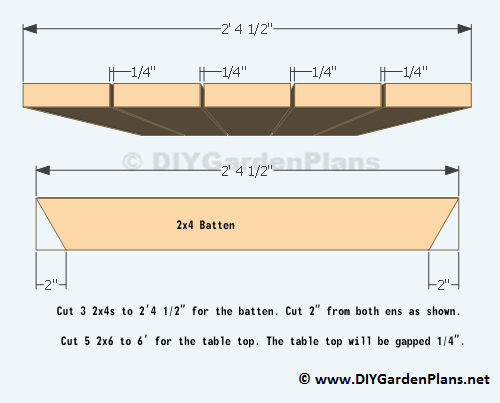 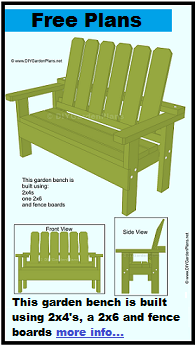 These plans will show you how to build a 6' picnic table. 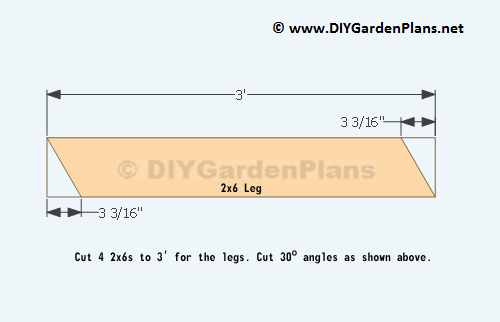 batten (2x4) 3 2'4 1/2"
cleat (2x4) 2 11 1/4"
Since lumber can be purchased in diffrent sizes the shopping list will vary. 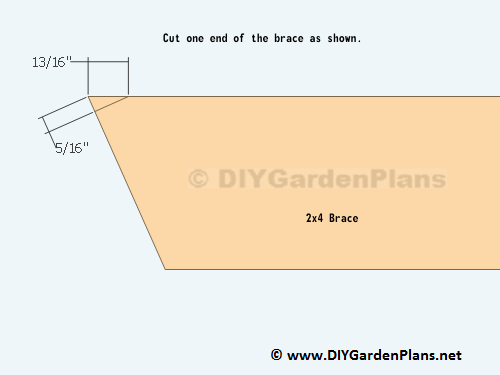 Study the cut list and make changes if needed.